Some European PGA Professionals were asked some hilarious questions, including what would you be if you weren't a PGA Pro? What was your first job? I love Beef's reply ... "A hot dog eating contestant. Yeah I'd give that a crack, yeah." "Competitive golf is played on a 5 1/2 inch course ... the space between your ears." An English footballer (proper football, not the version where they use their hands) called Peter Crouch was interviewed once. He’s a funny looking bloke, 6ft 7” and skinny as a rake (try to imagine a 1iron with fingers). Q - What would you be if you weren’t a footballer ? Mr Lynford, you and I shall words about "football". Around here we call it soccer. As the local youth Football coach, my favorite moment of the year is when we have our first practice and I tell all the young kids to get those communist goal looking things the hell off of my football field (the rest of the year my precious football field is used for soccer). Smiter, that name was already taken. What if someone invented a game that you play with a racquet and a net and called it Golf ? What if they raced cats and called it Baseball ? I love how much fun they seem to have over on that tour. No sir! 4 quarters of 8-15 minutes depending on the level:) I'm in the blue area, just as an FYI. 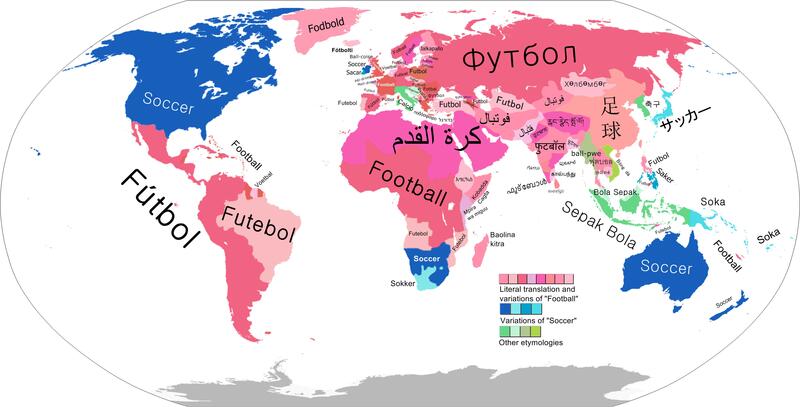 Seems like this so called "football" of yours has a lot of different names. Oyt6on? My characters on my phone can't even draw the lines in the O. Weird stuff. I do enjoy some of the liquor produced in the red areas though.